Auburn University international alumna and Fulbright scholar Basima Abdulrahman, who recently founded Iraq’s first sustainable architecture consultancy, will co-chair the World Economic Forum’s 2019 Annual Meeting Jan. 22-25 in Davos-Klosters, Switzerland. The meeting theme is “Globalization 4.0: Shaping a Global Architecture in the Age of the Fourth Industrial Revolution.” Abdulrahman—one of six young leaders from the World Economic Forum’s network of Global Shapers—will be among such fellow co-chairs as the president of the World Bank, Jim Yong Kim, and CEO of Microsoft, Satya Nadella. Abdulrahman will share her input on how to best build a global architectural landscape that lifts billions of people out of poverty in a clean, green way. Ultimately, she hopes her position as co-chair and her ideas on sustainable building will highlight the role of youth in setting the tone and vision for the meeting’s theme. Abdulrahman graduated from Auburn in 2014 with her master’s degree in civil engineering. While a student at Auburn, Abdulrahman developed a passion for sustainable building and a rich knowledge of engineering and has since founded her own company, KESK—which means “green” in Kurdish. KESK is Iraq’s first sustainable architecture consultancy. A native to Iraq, Abdulrahman is placing high importance on helping her home country make better environmental choices when it comes to architecture. According to her, the economic and financial crisis in Iraq due to the war on terrorism in combination with the drop in oil prices has imposed the need to develop plans for a more conservative use of resources. 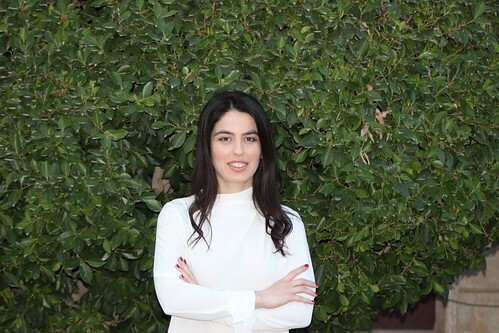 Through KESK, Abdulrahman hopes to improve the environment and promote social cohesion in the northern region of Erbil, where her company is located. In addition to being selected as a co-chair for the forum’s annual meeting, Abdulrahman has also spoken at the Women Power Summit, TEDxNishtiman and Global Climate Action Summit and was featured in the Real Leaders magazine as one of the 100 Visionary Leaders for 2018. Auburn University alumna Basima Abdulrahman has founded Iraq’s first “green building” company. She will co-chair the World Economic Forum’s 2019 Annual Meeting Jan. 22-25 in Switzerland.